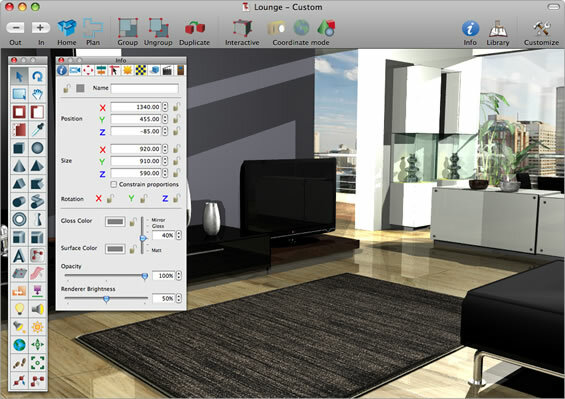 Microspot brings you our acclaimed 3D home design and drafting software for Mac. Interiors Professional and Interiors provide solutions for novices and professionals alike to quickly and easily visualize interior home designs. Microspot Interiors Professional brings the power of 3d home design and drafting software for Mac users at a cost-effective price. Whether you just want to see what your kitchen will look like with a fresh coat of paint or completely re-design an entire room, Interiors provides the tools and resources to turn your ideas into an interactive 3D design. Interiors provides thousands of furniture items, textures and more. Drag and drop library items, it's as simple as that! Check out our gallery for some examples. Once you have created your design masterpiece you are going to want to show it off right?! Interiors lets you do just that using our Animation tools, not only do they enable you to set a path for the camera to follow through your designs but you can also animate individual objects to create some great effects. Once your animation is ready you can export it as a Quicktime movie. Just take a look at the examples in our gallery. 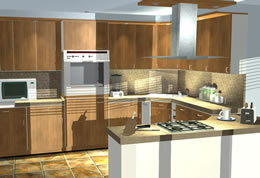 Interiors Professional takes interior design to a whole new level with a host of modeling tools. It contains 14 modeling tools and four modeling palettes. The tools include 6 primitive shapes, cube, sphere, cone, pyramid, cylinder and regular polygon and four more complex tools for pipes, torroids, lathed shapes and irregular polygons. The other tools include a 3D Text tool and an edit path tool which enables coils and threads to be modeled. 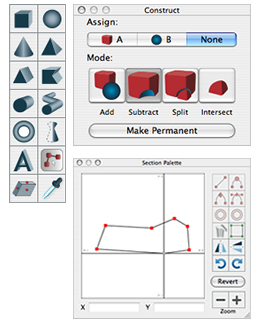 The extra palettes include a section palette for adjusting the section of lathed objects, polygons and many more, and a construct palette for boolean operations. For more information about our 3D home design and drafting software for Mac, have a look at at our Interiors Professional page.